These are the Terms of Business which govern our sales of fitness and nutrition plans (“Plans”). Please note that we do not provide medical advice. When following our Plans you are doing so at your own risk, and you must take full responsibility for the effects on your body that you may experience along the way. Any guidance we may provide is no substitute for professional medical or physiotherapy advice. Always ask your Doctor if in doubt. 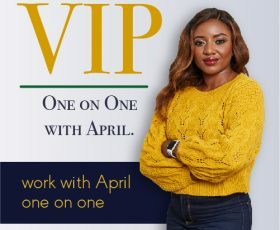 1.1 Who we are: We are April Laugh Ltd, a company incorporated and registered in England and Wales with company number 10660144 whose registered office is at the address below. 1.3 How we may contact you: If we have to contact you we will do so by telephone or by writing to you at the email address or postal address you provided to us in your order. 2.1 Nature of the Plans: All the meals contained within all Plans are pre-set and therefore new recipes will not be created upon request. 2.2 Our ethos: The set meals will be tailored in line with our own unique formula. Our ethos is sustainability and accountability. 2.3 Allergies: If you notify us of an allergy or intolerance, the Plan you receive will either be amended and/or a covering email provided detailing how you can manage things which could be by removing specific ingredients or replacing them with others. We can only deal with certain allergies all of which are detailed on the questionnaire you complete in order to receive your Plan. 2.4 It is important that you fully understand that the advice given by us regarding allergies is followed at your own risk and responsibility. Although we will recommend the use of Plans in line with your allergies or intolerances, this does not constitute medical advice and you must ensure that both you and your GP or physician is comfortable with all the ingredients. (d) vegetarians or pescatarians with an allergy to mushroom. 2.6 Exercise: The exercise routines contained within the Plans are also pre-set. You will receive details on the exact structure to follow; meaning the duration, repetition, range and amount of sets through video links. 2.7 Frequency of Exercise: As a beginner, you should only workout once a day burning 350 calories and build your endurance up to 500 calories or more over time. 2.8 You must submit the correct information. Please ensure you complete your correct age, height and weight on the questionnaire. We need both the completed questionnaire as well as clear body shot photos (see clause 2.9 below) before a Plan can be created. Once your chosen Plan begins, you will be in complete control of the results. In order to achieve success with this program you need to stick to it 100%: this includes meal portions, meal timings, exercise, and eating out. The only way to submit results is through email. 2.9 Photos: The photos you provide will need to be taken in your workout bra or equivalent so that body composition can be assessed. Please note that we take privacy extremely seriously, and we take all reasonable precautions to ensure that these photos are stored securely. Nevertheless, we recommend that you to anonymise the photos provided to us by, for example, cropping your face (e.g. either taking a photo of your neck down or cropping the image using a photo editing application before you send it). This will assist us in preserving your privacy should a security breach occur. 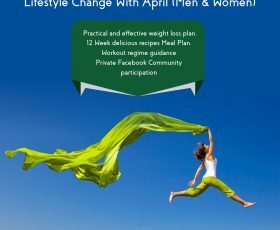 2.10 Timing: Once you purchase the Lifestyle Change With April Plan you have 12 Weeks to complete it. The Plan is valid for 12 weeks from the initial order and needs to be completed within this timeframe. 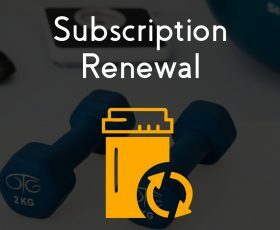 After this period, you can renew your subscription to stay accountable with the options provided on our website. (e) Bank Holidays, Christmas and New Year: Office closure will be made available 14 days in advance. 5.1 We are the owner or the licensee of all intellectual property rights in our Plans. Those works are protected by copyright laws and treaties around the world. All such rights are reserved. 5.2 You must not use any part of the content of the Plans for any purpose other than your personal fitness and nutrition. 6.2 We may ask your permission to publish the photos. We may contact you to ask permission to publish the photos. We will always do this in writing, and, if we get your express written approval, you grant us the right to publish those photos, share them with the public and use them in any way whatsoever, including commercial uses, in perpetuity. 7.1 When the contract for a purchase of a Plan comes in force. When you tick the box confirming that you accept these Terms of Business and then click the ‘CONTINUE TO PAYMENT – CLICK HERE’ button and made your payment, you are making an offer to purchase the Plan. A legally binding contract is formed when we have sent you a confirmation email that your order has been accepted. 7.2 We may refuse to sell a Plan for medical reasons. Our policy is that we will not provide fitness or nutrition plans if, by way of example, you are suffering an illness, injury or condition, such as cancer, HIV/AIDS, gastric band, heart, lung, liver, kidney or other organ disease, anorexia, bulimia. 7.3 You must be in good health. You confirm that you are in good physical condition and know of no medical or other reason why you should not engage in any form of exercise. 8.1 Rights and exclusions. You have the right to opt out of the plan at any time. If you have just changed your mind about the Plan (Consumer Contracts Regulations 2013), you may be able to get a refund any time within 14 days of making the offer. However, as the Plans are personalised, once you start to download or stream a cycle of the Plan, that part becomes non-refundable. If you are ill or injured and cannot complete a Plan, you may need to suspend your plan till you have a valid medical report from your Doctor. (c) in respect of a Plan if you are suffering an illness, injury or condition, such as cancer, HIV/AIDS, gastric band, heart, lung, liver, kidney or other organ disease, anorexia, bulimia. 9.2 You must compensate us if you break the contract. If we end the contract in the situations set out in clause 11.1 we will refund any money you have paid in advance for Plans we have not provided but we may deduct or charge you reasonable compensation for the net costs we will incur as a result of your breaking the contract. 10.2 Summary of your legal rights. We are under a legal duty to supply Plans that are in conformity with this contract. See the box below for a summary of your key legal rights in relation to the Plan. Nothing in these Terms of Business will affect your legal rights. 11.1 Ways to pay. Goods must be paid for in advance. Plans may be paid for by a one off payment or payment plan option, payable by three monthly instalments. 11.2 Where to find the price for the Plan. The price of the Plan, which includes VAT, will be the price indicated on the order pages when you placed your order. We take all reasonable care to ensure that the price of the Plan advised to you is correct. However please see clause 11.4 for what happens if we discover an error in the price of the Plan you order. 11.3 We will pass on changes in the rate of VAT. If the rate of VAT changes between your order date and the date we supply the Plan, we will adjust the rate of VAT that you pay, unless you have already paid for the Plan in full before the change in the rate of VAT takes effect. 11.4 What happens if we got the price wrong. It is always possible that, despite our best efforts, some of the Plans we sell may be incorrectly priced. We will normally check prices before accepting your order so that, where the Plan’s correct price at your order date is less than our stated price at your order date, we will charge the lower amount. If the Plan’s correct price at your order date is higher than the price stated to you, we will contact you for your instructions before we accept your order. 11.5 What to do if you think an invoice is wrong. If you think an invoice is wrong please contact us promptly to let us know. You will not have to pay any interest until the dispute is resolved. Once the dispute is resolved we will charge you interest on correctly invoiced sums from the original due date. 12.1 We do not provide medical advice. When following a fitness or nutrition plan you are doing so at your own risk, and you must take full responsibility for the effects on your body which you may experience along the way. 12.2 We are responsible to you for foreseeable loss and damage caused by us. If we fail to comply with these Terms of Business, we are responsible for loss or damage you suffer that is a foreseeable result of our breaking this contract or our failing to use reasonable care and skill, but we are not responsible for any loss or damage that is not foreseeable. Loss or damage is foreseeable if either it is obvious that it will happen or if, at the time the contract was made, both we and you knew it might happen, for example, if you discussed it with us during the sales process. 12.3 We do not exclude or limit in any way our liability to you where it would be unlawful to do so. This includes liability for death or personal injury caused by our negligence or the negligence of our employees, agents or subcontractors; for fraud or fraudulent misrepresentation; for breach of your legal rights in relation to the Plans; and for defective Plans under the Consumer Protection Act 1987. 12.4 If defective digital content which we have supplied damages a device or digital content belonging to you and this is caused by our failure to use reasonable care and skill we will either repair the damage or pay you compensation. However, we will not be liable for damage which you could have avoided by following our advice to apply an update offered to you free of charge or for damage which was caused by you failing to correctly follow installation instructions or to have in place the minimum system requirements advised by us. 12.5 We are not liable for business losses. We only supply the Plans for domestic and private use. If you use the Plans for any commercial, business or re-sale purpose we will have no liability to you for any loss of profit, loss of business, business interruption, or loss of business opportunity. 14.1 We may transfer this agreement to someone else. We may transfer our rights and obligations under these Terms of Business to another organisation. 14.2 You need our consent to transfer your rights to someone else. You may only transfer your rights or your obligations under these Terms of Business to another person if we agree to this in writing. 14.5 Even if we delay in enforcing this contract, we can still enforce it later. If we do not insist immediately that you do anything you are required to do under these Terms of Business, or if we delay in taking steps against you in respect of your breaking this contract, that will not mean that you do not have to do those things and it will not prevent us taking steps against you at a later date. For example, if you miss a payment and we do not chase you but we continue to provide the Plans, we can still require you to make the payment at a later date. 14.6 Which laws apply to this contract and where you may bring legal proceedings: These Terms of Business are governed by English law and you can bring legal proceedings in respect of the Plans in the English courts. If you live in Scotland you can bring legal proceedings in respect of the Plans in either the Scottish or the English courts. If you live in Northern Ireland, you can bring legal proceedings in respect of the Plans in either the Northern Irish or the English courts. The foregoing is subject to mandatory consumer protections which apply in your country, which may offer you additional rights. 14.7 Alternative dispute resolution is a process where an independent body considers the facts of a dispute and seeks to resolve it, without you having to go to court. If you are not happy with how we have handled any complaint, you may want to consider an alternative dispute resolution provider. In addition, please note that disputes may be submitted for online resolution to the European Commission Online Dispute Resolution platform.